Tanzania in African has the lowest mobile data cost, reaps the benefits of the roll-out of 4G LTE network by state-owned TTCL and intense competition from numerous operators. ICT Africa reports that Tanzania has the cheapest rate for one gig at 0.89 US dollars in comparison to South Africa which is priced at 5.26 US dollars. Other large markets such as Egypt, Kenya and Nigeria have higher data prices than Tanzania the report says, showing the cost of 1GB of mobile data in Kenya is 5.0 US dollars, Egypt 2.8 US dollars, Nigeria 5.26 US dollars and Malawi 5.8 US dollars. 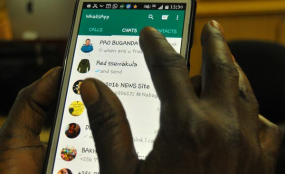 According to internet usage statistics for Africa provided by Internet World Stats, internet users in Tanzania are estimated to reach 7,590,794 as at 30 of June, this year, which is equivalent of 14.5 per cent of the total population.